I don’t usually spend a great deal of time reading the comments under my reviews on the Facebook page of chroniclelive.co.uk (where these reviews are also published online). People can be so cruel. However, one caught my eye the other week. 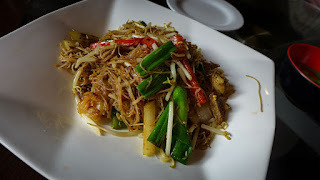 Its writer seemed to be upset that I’ve travelled a bit, and thus occasionally compare a local restaurant to one I’ve visited abroad. Apparently this makes me - brace yourself - “elitist”. Elitest? Moi?! I very nearly spluttered my 1947 Cheval Blanc (an acceptable vintage for everyday drinking) all over my gold-plated iPad. Clearly something had gone wrong with my PR. I had to act quickly to reconnect with these Facebook followers. Only one thing for it: an ‘all-you-can-eat’ buffet. 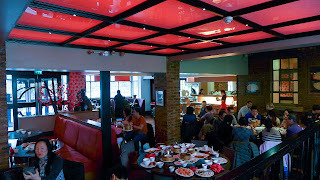 Tenji, just off Newcastle's Barrack Road, fitted the bill nicely. It used to be a pub – a place to drown your sorrows after a loss at St James’ Park. 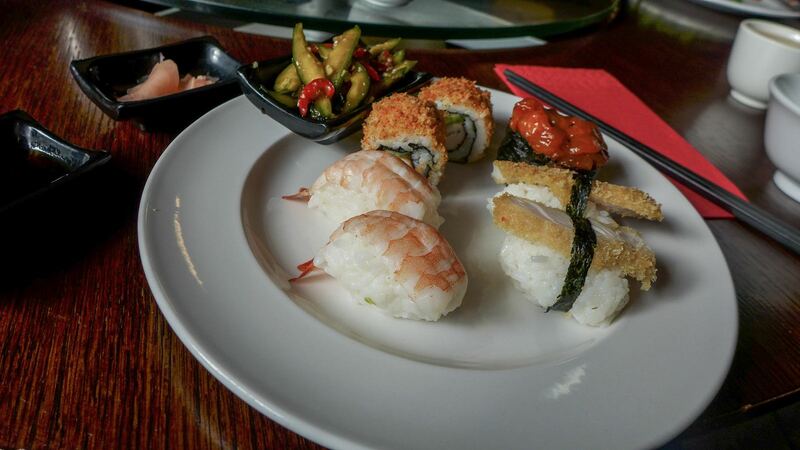 Now it’s ‘The First Luxury Japanese Buffet Restaurant in Newcastle’. 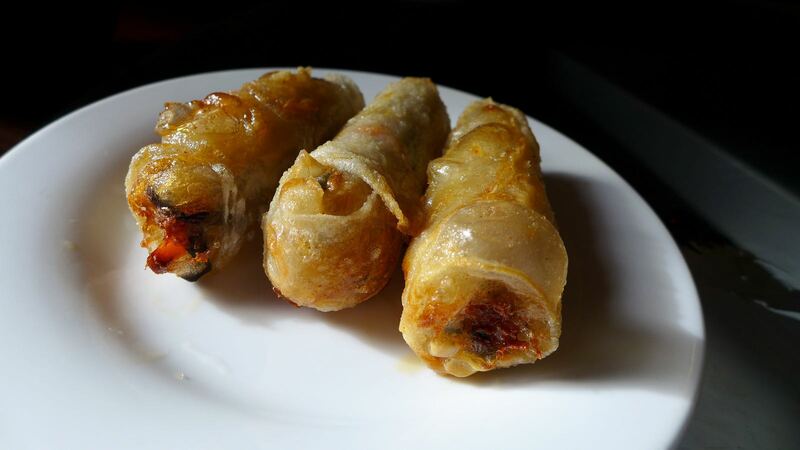 They used to major on sushi, but latterly they’ve added dim sum and a range of hot dishes you can order at will. I know this because Mrs Diner’s Dad loves the place. 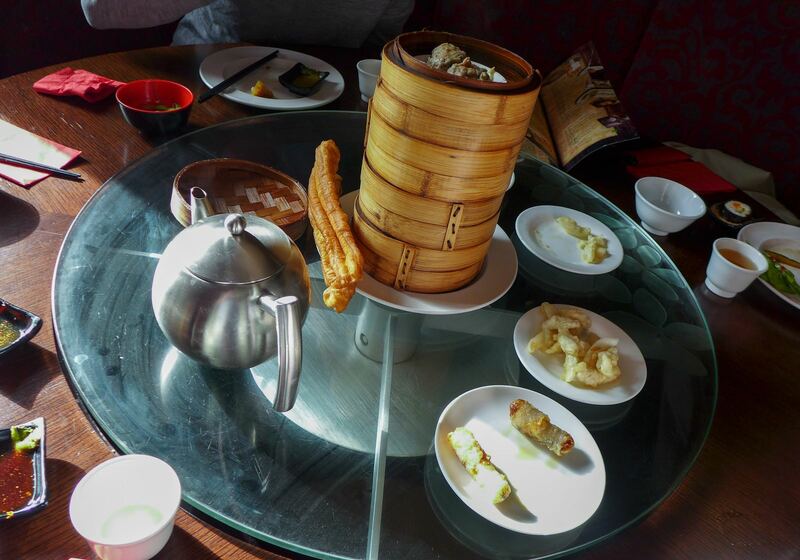 “There’s just so much choice!” he said, as we took our seats and requested a large pot of jasmine tea. Choice is, of course, the whole point of an all-you-can-eat buffet. That and not having to eat again for a month. Apparently, according to Dad, the sushi used to be better. I hope so: the samples I tried were not as good as Yo! Sushi (which isn’t saying a lot) but probably better than the stuff you get in little plastic containers in Tesco Metro. In other words, not much cop. The rice was claggy as hell, and under-vinegared. Grains of decent sushi rice should bid each other farewell under modest pressure. These were fused together. Best of a bad bunch were a California roll and some spiced salmon gunkan, both of which benefitted from having incorporated a lubricating sauce of one kind or another into the piece. On the other hand, some accompanying smacked cucumber salad was properly garlicky and really quite delicious. Things got more interesting, if a touch confusing, with the dim sum. Apparently the idea is you help yourself to various morsels from a bunch of multi-storey bamboo baskets on a central table. 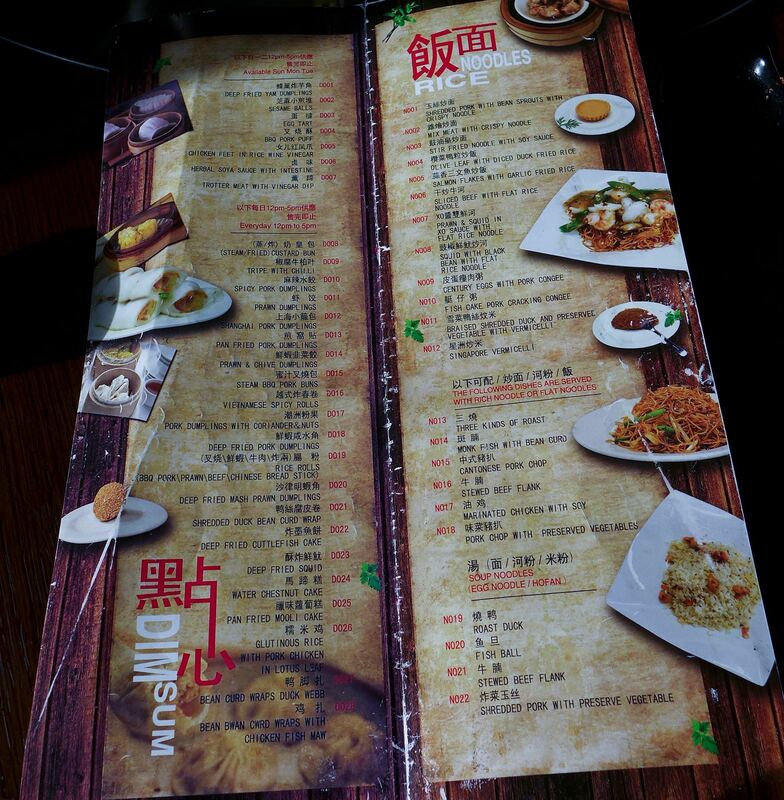 However, all of these also appear to be available to order from your table, so we did both. Some deep fried things were good. 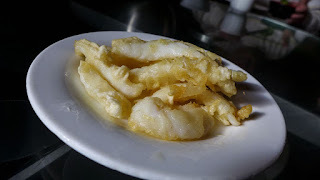 Squid was a touch greasy, but had crisp batter and tender white meat. 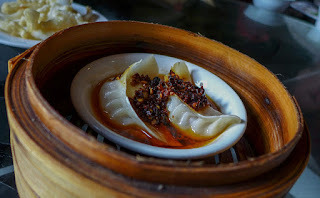 Wontons of minced pork were crunchy without and steamy within. Vietnamese spicy rolls were packed with vegetables and a good thump of chilli. The steamed offerings were more mixed. 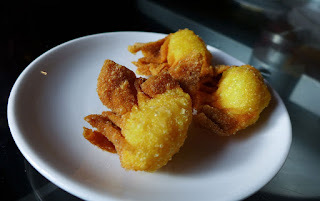 An odd, caseless dumpling of (I think) pork and prawn was dense, heavy and slimy. 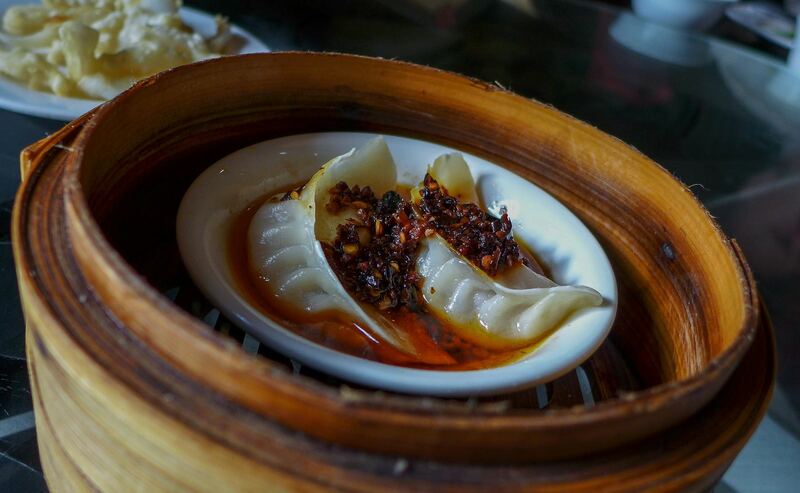 Much better were some neatly crimped pork dumplings served in a slick of threateningly dark toasted chilli oil. We ordered more of these. 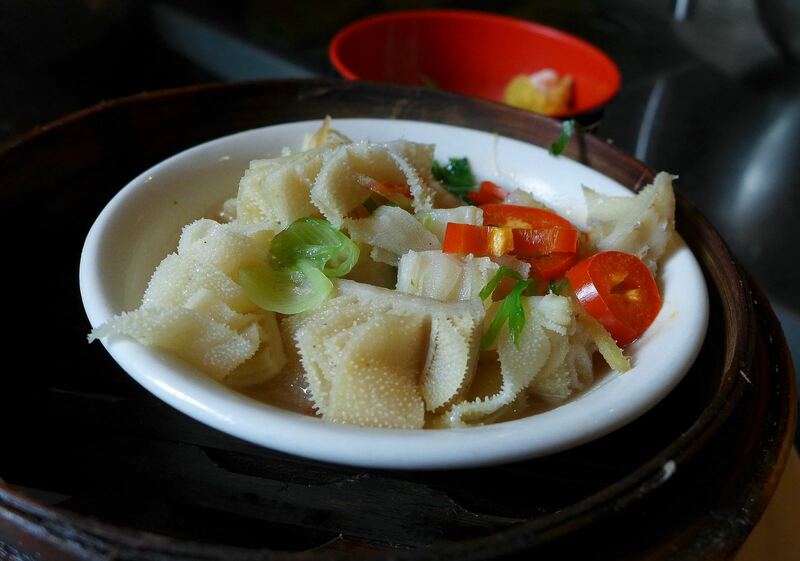 For the more adventurous buffeteer, there were chicken feet by the yard, but they’ve never done it for me. I was interested in the “trotter meat with vinegar dip”, but this had sold out. It must be very good. I tried their tripe with chilli. It was crunchy, slippery and chewy all at once, in that unique tripey way. 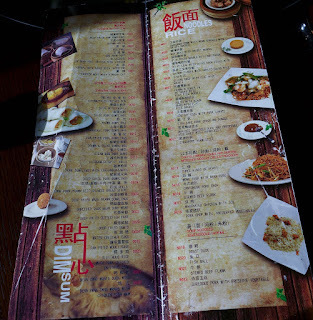 On a foray to the southern end of the restaurant - the place is pretty massive - I found a bunch of tureens containing various hot dishes. 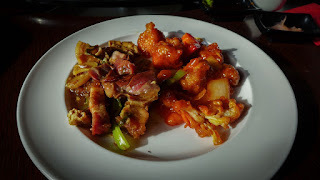 I sampled pork belly cooked in soy and some sweet and sour chicken. The former was fine, the latter terrible – all soggy batter and tough bird. Still, its luminous sauce and tangy waft brought on a moment of Proustian nostalgia for any number of similar dishes consumed during a childhood when Chinese food, especially sweet and sour chicken, was still new and exciting. Puddings were dross. Ice creams were like the very cheapest of the Brakes catalogue variety, and the profiteroles would have been tastier if still frozen. A sort-of crème brûlée was the best of a pretty evil bunch. We ate a lot that couldn’t make it onto this page, what with word count and everything. And guess how much it cost per head for this unrelenting overindulgence? £12.90. Remarkable. 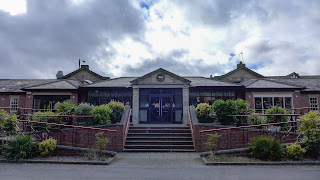 Some more financial facts: there’s a sign at the entrance saying that wasted food will be charged at £4 per 100gm which, is surely way more than cost price for anything they’re serving in here. I wonder if this has ever been enforced? If you’re game for it, they also offer unlimited drinks to go with your unlimited food at a price of £9.50 for a two-hour session. I reckon I could down a lot of cheap sake in two hours. But would I want to? 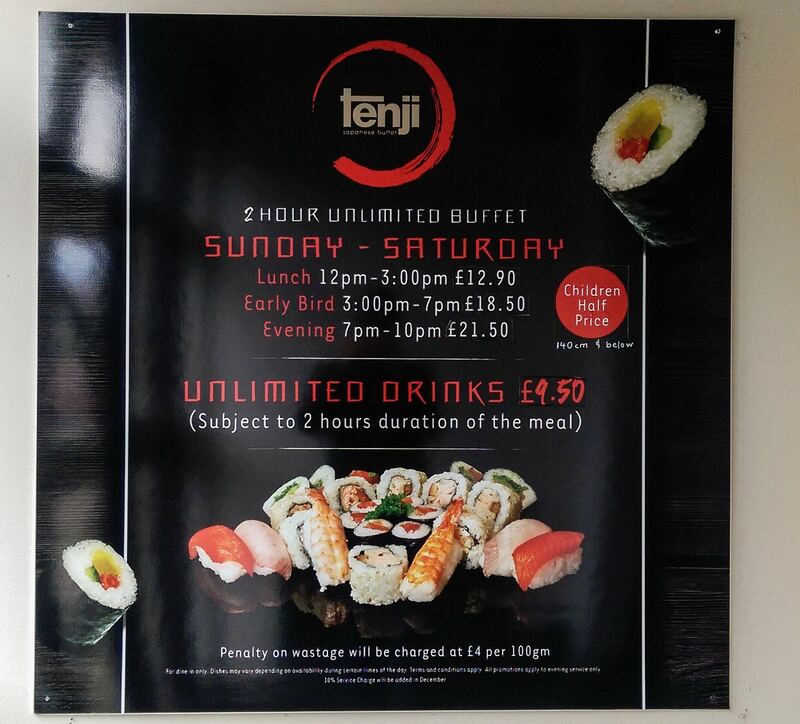 Is Tenji your kind of place? If you want to eat a coma’s worth of partly not-bad Asian cooking for a minimal cash outlay, then the answer is a resounding yes. Lots of people do. On the Sunday of our visit it was heaving with Asian families. 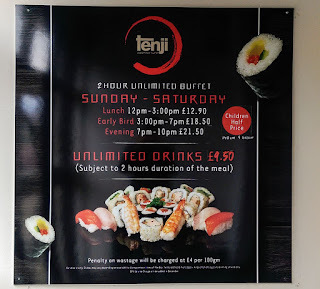 However, if you’re a bit squeamish about hygiene, probably not, for I note that the Food Standards Agency currently rates Tenji at just two stars: “improvement is necessary”. 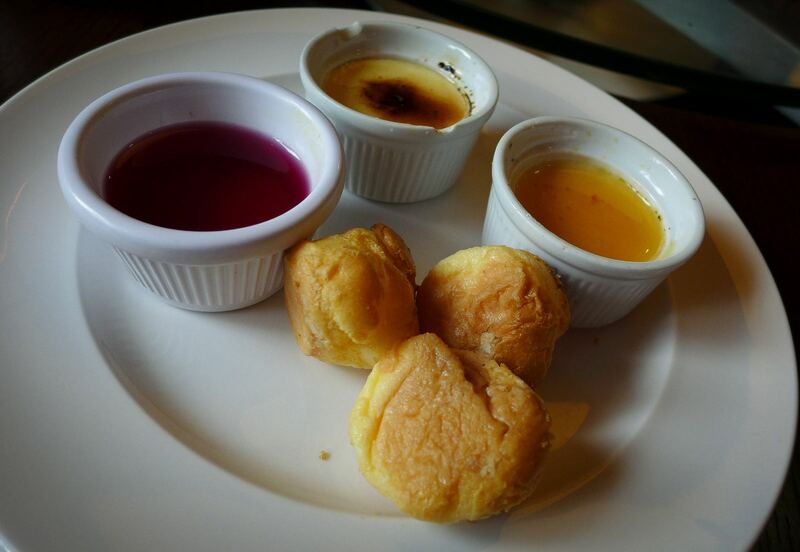 Two stars was also about right for its food, ambience and service. I may not have enjoyed the meal as much as Mrs Diner’s Dad, but at least I’ve salvaged my reputation as a proper man of the people. Elitist? Snort.